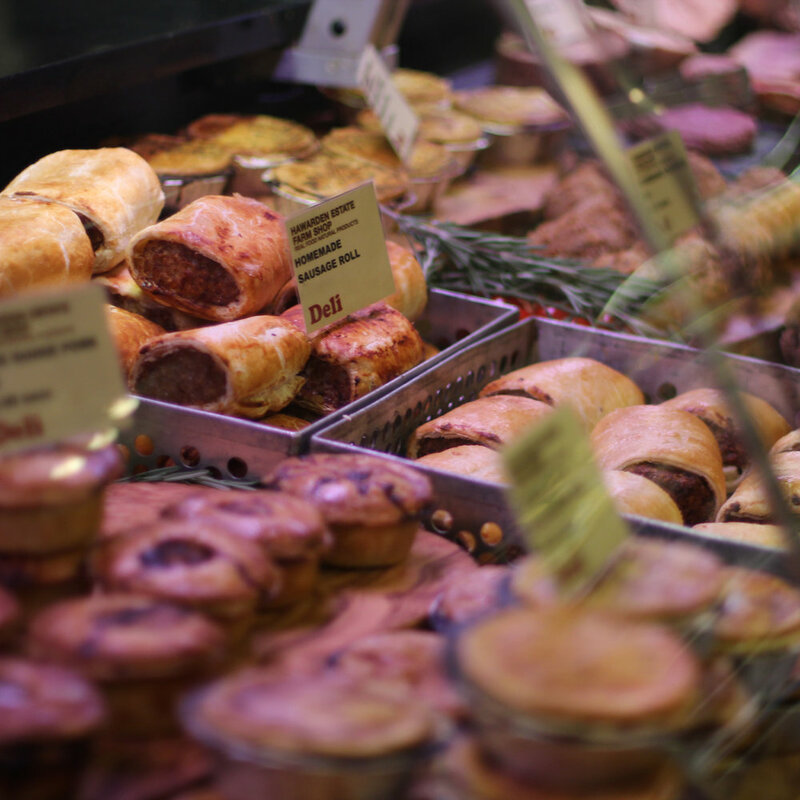 Pure delight: the deli at HEFS serves home-cured, home-cooked hams, roast beef, salamis and turkey; we also make beautiful pies, sausage rolls, tablets and quiches as well as our famous monster sausage rolls. Pick-up-and-go, save it for later or take it outside and enjoy as a picnic. We also make our own -famous- coleslaw and potato salad which is packed fresh each day in our biodegradable takeaway boxes. You’ll find these in our fridge. If you would like to make a large order for a party, event or gathering simply ask one of the team, who will be happy to help. Perfect for a healthy and straight-forward lunch. New for 2019 is our takeaway sandwich and salad bar made fresh to order from our deli. This is Kevin’s specialty, and with 15 years experience of running his own sandwich shop we can’t think of anyone better for the job. Pop-in and we’ll make your order fresh and ready to take away. If you’re ordering for a group, call ahead and place your order ready for collection.